Dr. Nichole Martin is Lynnwood’s favorite family dentist! To celebrate Children’s Dental Health Month, here are a few key facts about baby teeth. When should I schedule my child’s first dental visit with Dr. Martin? You can schedule your baby’s first appointment in our Lynnwood office as soon as the first tooth emerges. We suggest you schedule this first dental appointment by the time your child is a year old. 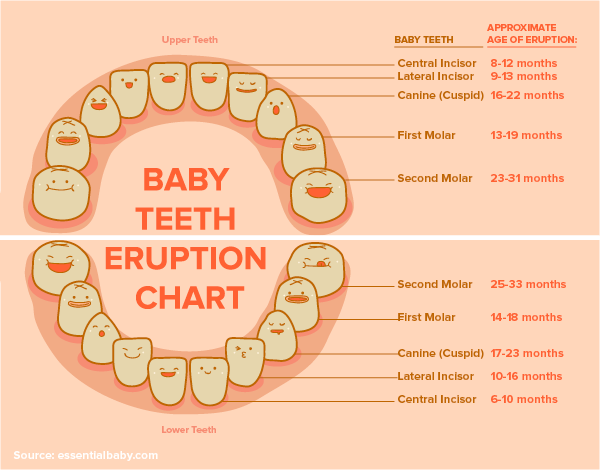 While most children start to have teeth emerge before they are 12 months old, it’s not uncommon for baby teeth to take longer. You are welcome to schedule time with Dr. Nichole Martin to be certain there is no underlying medical issue, but there’s no harm in waiting a few months before taking this step. Chances are, that first tooth will show up soon! If you have questions about caring for those all of those important baby teeth, please call Heavenly Smiles at (425) 774-5596. After all, that’s why we are here – we’re happy to serve you and your family!